A mystery wrapped in a riddle is an enigma. An idle threat wrapped in an idle threat is a really big idle threat. This weekend the panel of judges found themselves starring at the latter as we suffered through the NFL draft. The hype surrounding professional football's annual "selection meeting" has escalated every year. So much so that, in an effort to maintain our pro football bona fides, this year the panel finally felt obligated to watch the draft on television. The format of the first round is such that teams are given 15 minutes to make a selection that takes commissioner Roger Goodell about five seconds to read. Which makes for a filler to relevant information ratio of about 180 to 1. Try as they might to convince you otherwise, this is simply not compelling television. If it was, the networks would run congressional proceedings during sweeps, chess stars would have shoe contracts, and "watching paint dry" would be more than part of a homespun witticism. Part of what makes sports interesting is you don't have to be an "expert" to have a valid point of view. For example, to switch mediums for a moment, a fan with a decent amount of NBA knowledge and who had seen a handful of Dallas and Golden State games this year could have reasonably come to the conclusion -- against the grain of consensus-- that the Warriors might be ripe for the unprecedented first round upset they seem to be on the verge of. This wisdom within the masses does not translate to the NFL draft. Because of the limitations a traditional football telecast has in showing the entirety of on-the-field action, the oft-hidden team-to-team and conference-to-conference talent disparities in college football, and the complexities of schemes in the NFL, it is impossible for even the most dedicated football fan to synthesize how a college player will perform at a professional level on a particular team. 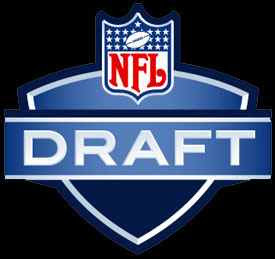 In an attempt to overcome these obstacles NFL franchises hire squads of scouts who poke and prod at potential draftees like they are cattle, and draft "gurus" such as Mel Kipper Jr. spend 16 hours a day 365 days a year obsessing over the draft. They still fail in their evaluations almost as often as they succeed. Yet the thousands of screaming fans who camp out to watch this snooze-fest in person and the millions more who scream at their TVs pretend, after a reading a couple crib sheets and memorizing a few 40 times, they have a clue. The NFL draft threatens to be must-see-TV, but it works far better as a list of 255 Monday morning names. Not to be outdone, those who follow it closely threaten to be improbable experts, when they are really just guys who miss football and have nothing better to do for 20 hours on a weekend in April. All together the utter charade of the NFL draft as a spectator sport wins idle threat of the week for April 23-29. April 30 to May 6 is on the clock.